The relaunched MSA British Junior and Senior Kart Championships will kick off at Whilton Mill on 28-29 May, promoter Super One Series has confirmed. Formula TKM will run three regional club championships in 2015 to meet the growing demand from drivers for this type of event, originally pioneered by the class three years ago. The MSA – governing body of UK motor sport – sends its warmest congratulations to Lewis Hamilton on being crowned the 2014 FIA Formula One World Drivers’ Champion after winning the Abu Dhabi Grand Prix. 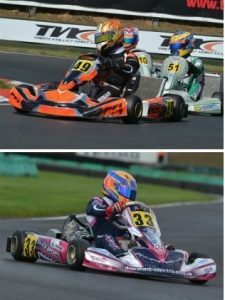 The ABkC O plates for the Formula TKM classes are returning to the Maxxis TKM Festival at Kimbolton in August heralding what is expected to be a surge in interest for the plates.